Scott’s mental state will definitely be revealed this week at the World Golf Championships Bridgestone Invitational. It was hard to watch Scott wilt over the final four holes on Sunday a couple of weeks ago, as he was trying to win his first Major Championship. Both Woods, and Scott come into this week as some of the top favorites in the field. But it’s definitely Woods who is head and shoulders above the rest on WGC Bridgestone Invitational betting odds available at Bovada Sportsbook. After all, he has won this tournament seven times in his career. Woods is going off at 5/1 on the betting line to win for the fourth time on the 2012 PGA Tour season. And it would certainly be a nice win, though he is still without a Major championship win with only the PGA championship left in a couple of weeks. But woods is close to three times the favorite of his next closest competition. That would be world No.1 Luke Donald. But Woods rose to No.2 in the world after his performance at the British Open, and will certainly be eyeing a chance to get back atop the apex of the sport in which he reigned for so long. Donald is going off at 14/1 to win this week. Then comes Scott, who for roughly 68 holes at the British Open a couple of weeks ago played so beautifully. It appeared that he had that Major all but locked up. But we underestimated the pressure of trying to win your first. But you can bet a win this week would be satisfying for Scott. And at 16/1, oddsmakers believe that he has one of the best shots of any player in the field. Lee Westwood and Rory McIlroy round out the top-five favorites this week to win the WGC Bridgestone Invitational. Neither player has done much over the last couple of months, with McIlroy arguably being the most disappointing player in the world during that stretch since an early win on the PGA tour this season. The field this week is certainly a good one, and will almost feel like a Major championship. That is the purpose of the World Golf championships when they were formed years ago. 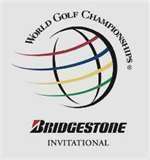 Below we have the full field betting odds to win the WGC Bridgestone Invitational as seen on Bovada, so be sure to check them out and see how your favorites golfer stacks up.